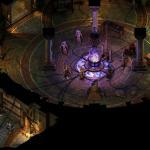 Pillars Of Eternity Expanding Into The Physical World Have you been digging Pillars of Eternity so far? You soon may be able to play it even when the power is off. 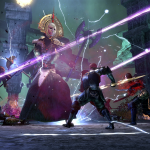 Ever since Pillars of Eternity launched on the 26th of last month, its growing popularity and rave-filled critical reviews have boosted Obsidian Entertainment’s confidence enough that they’re willing to launch the game in other formats. Meaning, according to CEO Feargus Urquhart (don’t ask me how to pronounce that), there will be a physical card game and a tabletop roleplaying game based on the property. 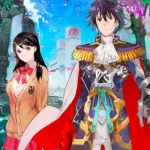 Watch Trailers For Nintendo’s Upcoming RPGs This month Nintendo unveiled its new trailers for both the Fire Emblem / Shin Megami Tensei crossover Wii U game and the standalone Fire Emblem game for 3DS. The appearance of the former game was especially exciting, as no one had proof it was even still being worked on since 2013. Pillars of Eternity Now Officially Out Remember the year 2012, when Kickstarter could do no wrong? That was when Pillars of Eternity was first proposed as a new action RPG for computer gamers. 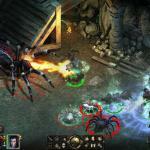 Fashioned in the tradition of Baldur’s Gate and Planescape: Torment, the game involves a heavily customizable hero or heroine from one of six distinct races traversing the overhead-viewed fantasy world of Eora. The project gained over 70,000 backers and racked up $4.5 million dollars in donations for its developers, Obsidian Entertainment and Paradox Interactive, prior to its release. 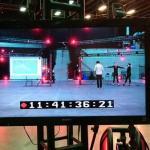 Mass Effect 4 Being Mocapped As We Speak This morning Bioware, developers of the next Mass Effect game, tweeted this image from the mo-cap studio currently miming out the game’s cutscenes. “Getting our motions on at TheCaptureLab in Vancouver. A very cool scene for the next #MassEffect,” the message accompanying the image said. RPG fans sometimes get gloomy when reminiscing about traditional Japanese RPGs. There was a time when the Chrono Triggers and Final Fantasies dominated, at least on consoles, but those glory days seemed to have faded a bit. But they’re not gone completely, especially if you play on handhelds. 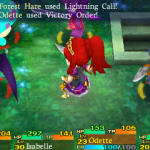 Etrian Mystery Dungeon is living proof. A mashup of the Mystery Dungeon series and the Etrian Odyssey series, it’s hard to image a more specifically Japanese thing, and the fact that it’s getting a U.S. release April 7 on the Nintendo 3DS shows there’s obviously still interest in JRPGs in the west. 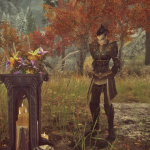 Skyrim Helps Gamer Remember Lost Brother Reddit poster lastrogu3 recently shared the heartbreaking tale of the death of their brother, and how Skyrim has helped them remember him. 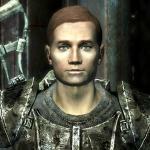 Their brother, Taylor, was a gamer who spent most of his gaming time on Skyrim, using a dark elf character he named Bear. Taylor drowned in 2013 while wakeboarding in a river, when a rope he’d used to tie the wakeboard to his ankle got caught in the roots of a tree and held him down. Lastrogu3 doesn’t play Skyrim any more, but they do go back to the game as a way to remember Taylor. 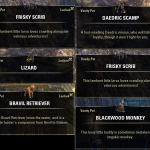 Here’s Some Stuff You Can Buy in The Elder Scrolls Online With Real Money The Elder Scrolls Online’s Crown Store won’t open for business until the game drops its subscription model March 17, but here are some previews of some items you’ll be able to spend real money on when it does. The items pictured in the three images below are vanity items. Some of them are similar, but not necessarily exactly the same, as exclusive rewards that were given out for loyalty and special promotions. Note the Blackwood Monkey, which is so similar to the Imgakin Monkey that was given away to beta players the description makes note that it’s not the same. 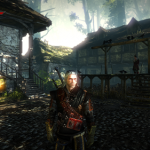 PAX East: No Witcher 1 and 2 Re-Releases Planned for New Platforms At a panel at last weekend’s PAX East conference, CD Projekt RED quashed a fan’s hopes that The Witcher 1 and 2 would get a re-release in conjunction with the release of The Witcher 3: Wild Hunt. Company staffers said a re-release was considered but they decided the resources could be better used on The Witcher 3 and other projects. A re-release isn’t ruled out entirely but for now you might want to hold on to your old copies. Here’s a very well-made new Fallout lore video from Shoddycast that takes a deep dive into the history of androids in Fallout. Fallout’s retro future can be disarmingly low-fi, so some times it’s possible to forget that the technology exists in that timeline to create androids so realistic that they can be mistaken for human. In some cases, the androids don’t even know they’re not human. And the NPC you are talking to could be one without you being able to guess. For months ZeniMax has been telling us the 1.6 update for ESO would be better, but sometimes showing is more convincing. So ZeniMax has put out this video that shows the bullet points of what to expect in the new version. The big changes are the Justice System, which allows you to steal and kill and just generally do bad things, and the Champion System, which lets you keep improving your character even at the highest levels.